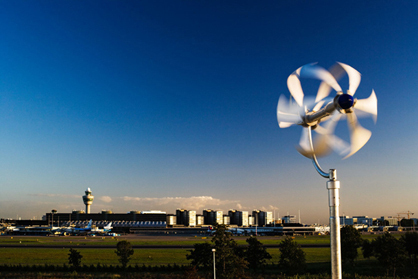 There are now a number of companies on the market which specialise in the development of micro wind turbines that enable individual power generation. When mayor Michael Bloomberg announced that he wanted to make New York the foremost eco city in the USA his announcement was met with a certain amount of incredulity. At first glance supplying the major energy needs of a city with a population of ten million by wind power sounds like a rather foolhardy dream. However, it shouldn't be forgotten that this is the United States, a place where the 'American dream' can and does come true. In fact Mr Bloomberg is not so far from the truth in his assumption that there is no reason why wind turbines shouldn't find their application in an urban environment. 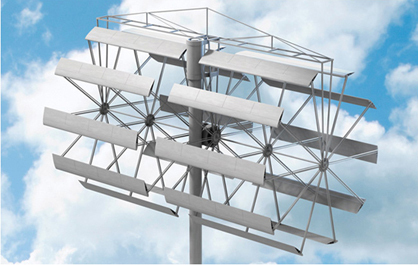 There are now a number of companies on the market which specialise in the development of micro wind turbines that enable individual power generation. The energy which is generated in this way can then either be fed into the grid or, by means of suitable storage equipment, enable self-sufficiency in terms of energy supply – once more increasing the relevance of the strong trend towards "mobile living". So far wind power installations have not found their way into the city, partly because of a lack of consistent wind conditions and partly because of the noise which the turbines create. However, the development of smaller turbines could change this in future. 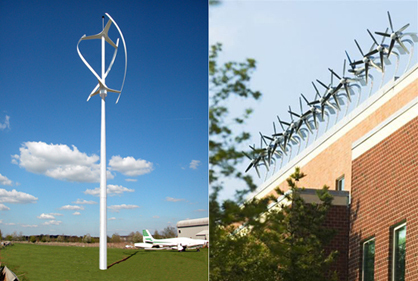 In these mini versions we differentiate between vertical and horizontal axis wind turbines (VAWT and HAWT). The latter are the ones we know from the giant wind turbines we see in the countryside and off-shore wind farms. Their smaller cousins can be mounted on the roofs of high-rise buildings and are very effective if they are positioned correctly. 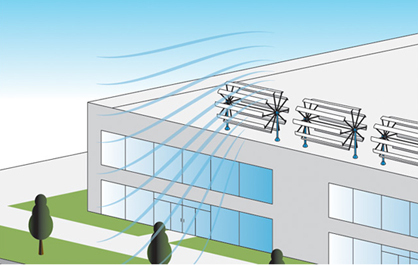 The disadvantage is that the transmission of energy from the horizontal axis of rotation to the vertical roof mounting creates vibrations whose structural effects on the building have to be taken into consideration. 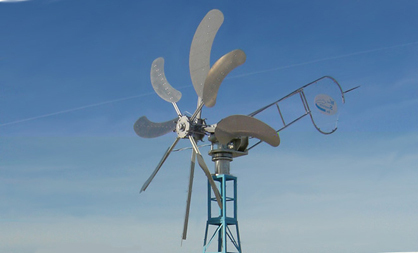 The vertical turbines are less demanding with regard to their positioning, because the rotor can catch the wind from any direction. 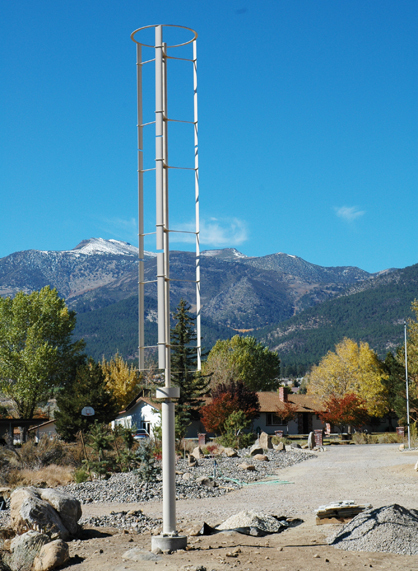 In addition the direct transmission of the wind to the vertical axis means that it makes much less noise. On the negative side the vertical turbines are as a whole much less efficient than the horizontal ones, and it takes a lot longer before the investment begins to pay off. We can only hope that the investment costs involved in the initial purchase and mounting of these wind turbines will fall over time, because a 20-person office or two low-energy houses can easily be powered by the 10,000 or so kilowatt hours per annum which the turbines made by Quietrevolution, for example, produce. And now that the energy giant RWE has acquired a stake in this British company, which is hardly three years old, it is to be hoped that even the last wind power sceptics will be silenced.